Martin Roll was featured in China Daily Asia Weekly in March 2016. 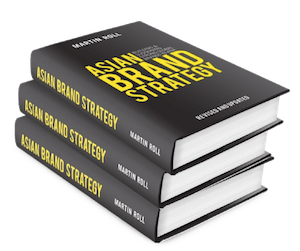 In the article, Martin Roll discussed how Asian companies need to start to change their mindsets to capture the value of branding as strategic assets for their businesses. China Daily Asia is a weekly publication that features news, opinions and analysis of China and the region, with a distribution across Asia including Australia, India, Japan, Korea and Southeast Asia. Ask someone to name the top five global brands and Coca-Cola, Nike, Google, Apple and McDonald’s commonly pop to mind. Over the last century, Western companies have successfully used branding to capture and engage millions of consumers over the world. This is turn have driven shareholder value, competitiveness and created strong market positions. However, when asked to name the top five Asian global brands, it becomes much more of a challenge. Martin Roll expressed that Asian companies have long had the reputation of being back-end workhorses, focusing only on manufacturing goods cheaply for Western companies. A decade ago, apart from some companies in Japan, Korea and Singapore, very few Asian firms truly understood branding and how to be customer-driven. However, Asian companies are now starting to design and market their own distinct products, and slowly but steadily realizing the benefits of branding. Martin Roll shared that brand building is all about the product and being able to tell an engaging story around that product which ultimately captures consumer minds. As Asia is already late compared to Western brands who have managed to capture global market share in essential categories across all industries over the last century, the focus for Asian companies is now on developing and manufacturing products that are both better than and different from the others. The challenge for corporate Asia is to find distinct brand identities and compelling stories which can compete effectively with already established global brands. Asian companies need to come up with great products and services that are backed by strong marketing programs and go-to-market strategies. Martin Roll advised that any product that a company brings to the market today will be heavily scrutinized by global consumers and stakeholders due to the power of social media. Any brand that aims to build and sustain strong market positions, would need to engage consumers consistently over time. This article appeared in China Daily Asia Weekly in March 2016 in English.